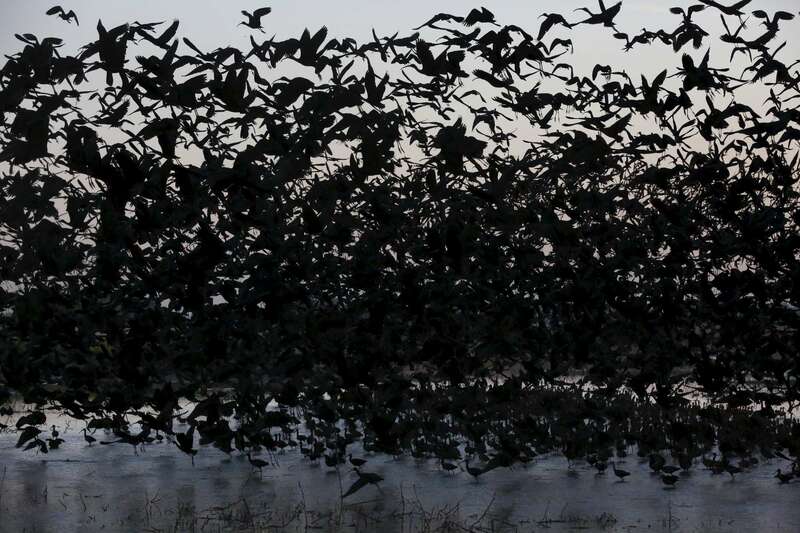 Hundreds of White-faced Ibis take off at dawn from a pond created from pumped ground water at Merced National Wildlife Refuge April 16, 2015 in Merced, Calif. The refuge is a restored wildlife area that reflects the habitat that used to be found in the Central Valley before agriculture took over the region. The small pond provides much-needed breeding and wintering habitat for thousands of birds. Because of the drought, the refuge received no surface water allocation and were forced to pump groundwater to keep up the wetlands and the crops they grow for habitat.